A few months back I wrote about the odd case of the Somali shilling. Despite the fact that Somalia's central bank was looted in 1991 and ceased to function thereafter, orphaned Somali shillings continued to circulate, and do so to this day. Along these same lines, so-called "Swiss Dinars" circulated in northern Iraq between 1993 and 2004 despite having been demonetized and discredited by their issuer, the Central Bank of Iraq (CBI). Why did shillings and dinars continue to have value despite being orphaned from/disowned by their issuer? The bigger question at stake is this: what gives so-called fiat money its positive price? The few bits of information I've found on the Swiss dinar come from a 2004 paper by Mervyn King, then governor of the Bank of England, a short article in the New York Times by Hal Varian, and a 2004 paper by Foote, Block, Crane, and Gray on the economic policy in Iraq. I've found a few odds and ends elsewhere from newspaper and numismatic websites. Oddly, these new "Saddam" bills didn't circulate at par with the pre-war Iraq notes but traded at a discount. By May, 1992, the older notes were worth around 3 US cents whereas the newer ones traded at 1 cent.3 This is an odd thing to get one's head around. Canada, for instance, recently came out with plastic notes. The plastic notes circulate at par with paper notes, but if they were to trade at a discount, then we'd experience something akin to what Iraqis experienced in the early 1990s -- one issuer, one dinar, two different prices. There seem to be a few theories for the dinar price discrepancy. The one that makes the most sense to me is that the poor quality of the post-war notes meant that they were easily counterfeited. The new notes were shoddy and lacked a watermark, the paper was thin, easily torn, and the ink ran.4 The pre-war notes, on the other hand, had been printed by De La Rue with modern technology. Traders may have discounted the newer notes for fear that they would be accepting fakes. The pre-war notes printed by De La Rue were referred to as "Swiss Dinars". King claims that this name derives from the fact that De La Rue's printing plates were manufactured in Switzerland. Foote et al. float another theory that the Iraq dinar, historically a stable currency, was considered to be the Swiss franc of the Middle East. In any case, the Saddam regime decided in 1993 to get rid of the dual price system by disowning the Swiss dinar. There may have been a few reasons for doing this. One can only imagine that the discount the market levied on post-war currency made the regime look weak. Since improving the quality of the post-war note issue was impossible, the only solution was to remove the Swiss issue. Secondly, this dual system would have limited the ability of the government to turn to monetary financing. The existence of the Swiss dinar along with a competitive alternative meant that there was a degree of market choice in currency use. The market could turn to Swiss dinars, which were fixed in supply, while avoiding post-war currency, which was printed in large quantities, thereby limiting the power of the CBI to print money to pay Saddam's bills. This system would have been akin to a partially dollarized system with the Swiss dinar taking the place of the dollar. Thirdly, the existence of multiple prices would have made transactions more complicated. Removing the Swiss dinar may have been a way to diminish the calculational burden placed on Iraqis by the existence of two sets of prices. Saddam Hussein disowned the Swiss dinar in a manner calculated to maximize his return. On May 5, 1993, the regime announced that all Swiss dinars had to be turned into the CBI for an equivalent amount of post-war currency over a six day exchange period ending May 10, 1993. After these six days had passed, the CBI would cease to honour the Swiss dinars as their liability. The entire issue of Swiss dinars was comprised of 25 dinar notes, so these were to be exchanged for 25 new dinars. Since the market placed a large premium on Swiss dinars, the par exchange rate effectively overvalued post-war dinars and resulted in an immediate gain to the regime. After all, it allowed the CBI to repurchase far more Swiss dinars for a given amount of new Saddam dinars, and thereby increased CBI seigniorage profits. A strange thing happened. Despite having been forsworn by the CBI, Swiss dinars did not become valueless. Along with US dollars, they continued to be used as a medium of exchange in northern Iraq. The fact that Swiss dinars were fixed in supply -- the Kurdish government did not attempt to print new notes -- helped sustain their price.7 Through the 1990s and early 2000s, the value of the Swiss dinar actually increased. While Swiss dinars were worth 2-3 times the price of Saddam dinars in 1993, they had appreciated to 300 Saddam dinars by 2003. See the chart from King, below. The Swiss dinar also appreciated over that time period vis a vis the US dollar, as King's second chart shows. Why would a disowned currency continue to be valued? One possibility is that the Kurds had a demand for currency as such, and whatever bits of colored paper already happened to circulate in northern Iraq would, perhaps by virtue of necessity and tradition, continue to be used despite their lack of credit. The problem with this explanation is that if peoples' demand for currency is so easily satisfied by unbacked coloured bits of paper, why didn't Kurdish businesses and consumers also create unbacked colored paper and spend these bits, earning large profits? A central authority might be able to preserve their monopoly by threatening businesses that issued competing brands of unbacked coloured paper, but no such central authority existed in northern Iraq. Something else seems to be working behind the scenes. Another explanation for the continued positive valuation of Swiss dinars is that Kurds anticipated that their disowned dinars were likely to be reclaimed by a future central bank. For instance, if northern Iraq was ever to made sovereign, a new Kurdish central bank would likely adopt the Swiss dinar as their liability. This reclamation of Swiss dinars is exactly what occurred, although not via an independent Kurdish state. As we all know, the US invaded Iraq in March 2003. On July 7, 2003, the head of the Coalition Provisional Authority, Paul Bremer, announced that an entirely new dinar was to be issued in October. Both post-war Saddam dinars and Swiss dinars would be exchangeable with these new dinars. Thus ended the decade-long disownership of Swiss dinars. Once again, these notes were the liability of a central bank. Mervyn King gives a particularly detailed account of how this worked. Beginning in 2002, speculation concerning a US invasion of Iraq began to mount. Coinciding with war speculation was a sharp rise in the value of the Swiss dinar, which moved from 18 dinars to the dollar in May 2002 to 6 dinars a year later. According to King, the dinar's bull market was a function of expectations that a US invasion would bolster both the independence of the Kurdish state from Saddam, as well as the likelihood "that a new institution would be established governing monetary policy in Iraq as a whole that would retrospectively back the value of the Swiss dinar." Foote et al point out the flipside of Swiss dinar appreciation -- the depreciation of Saddam dinars. Because these notes featured a smiling Saddam Hussein, fears that they would be disowned by the issuer once the Coalition took over caused them to weaken dramatically. That this fear would arise is not surprising given that Saddam had disowned Swiss dinars just ten years before. Whereas the Kurdish government tried to discredit Swiss dinars by paying government workers in dollars, the Coalition did the opposite and tried to alleviate fears concerning post-war Saddam dinars by choosing to pay government salaries with these notes. This decision signaled that there was a place for Saddam notes to play in a post-Saddam Iraq and caused their price to improve. Interestingly, both interventions give a chartal flavour to the story. As the case of the Swiss dinar illustrates, government support is by no means necessary for a currency to have positive value. The appearance of monetary phenomena does not require the state as a prerequisite. But that doesn't mean that governments can't influence that value by choosing to modify their transactions behavior as a way to signal their support, or lack thereof, for a currency. The final conversion price was set at a price that implied 150 Saddam dinars to 1 Swiss dinar. The conversion process began in October 2003 and ended by January 2004, officially ending Iraq's one-dinar-two-prices era, surely one of the odder periods in monetary history. Unfortunately, pinning down the exact reasons for the continued circulation of Swiss dinars despite being disowned is almost impossible to do. We've got theories, but confirmation is tough to come by. The difficulty of understanding monetary phenomena is a constant theme of this blog, as I hope my account of Somali shillings, Yap stones, and bitcoin all illustrate. Imagine a market where buyers and sellers of moneyness congregate. In this post I'll flesh this market out. 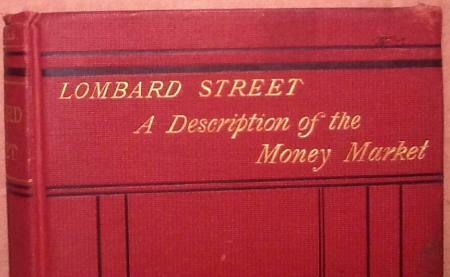 By moneyness I mean the extra bit of value, or premium, ascribed to some good or asset because of its exchangeability. Assets that are more exchangeable, or liquid, will have a larger premium attached to them. Less liquid assets will have little to no premium. Put more explicitly, let's say that Microsoft issues two types of shares, MSFT.A and MSFT.B. Both are entirely alike. They have the same dividend, carry the same voting rights, and are ranked equally in terms of seniority. The only difference is that MSFT.B shares are more exchangeable. Let's say that while MSFT.B can be sold whenever the owner wishes, MSFT.A can only be sold by their owner after one year has passed. A moneyness premium should emerge as the price of B shares trade above the price of A shares. Because the shares are entirely similar, this divergence can only be a product of B's superior liquidity services, a feature that investors willingly pay a premium to enjoy. In our simple MSFT market, a buyer of moneyness prefers to pay up for higher priced MSFT.B in order to enjoy B shares superior liquidity. A seller of moneyness will trade away MSFT.B in order to purchase lower cost MSFT.A and bear the inferior liquidity of A shares. We're more interested in a complex moneyness market that allows us to price the relative moneyness of all financial assets, not just MSFT.A and B. We can start by establishing a centralized market. 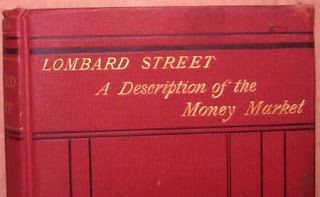 A seller of moneyness deposits their financial asset at an exchange, or clearinghouse, for a set period of time, say one year. In depositing their shares or bonds for a fixed term, the owner loses their right to transact in that asset over that time period. But they continue to enjoy all other rights associated with ownership, including dividends, interest, capital gains (or losses), and voting. Interposing an exchange or clearinghouse between buyers and sellers of moneyness solves for credit risk. In futures markets, for instance, counterparties face no unique counterparty risk since the exchange promises that either side will be made whole should the other side default. Futures exchanges use performance bonds, or margin, to ensure that they can always meet their obligations. A moneyness market could also work along these lines. Buyers of moneyness bid for the use of assets deposited at the exchange by sellers. Buyers have no right to any dividends, interest, or votes over that time period. But they earn the right to use that asset as a pure transactions asset. Buyers can repo it for cash, sell it, rent it out, use it as collateral, or mobilize it to settle trades. The range of transactions they can engage in is the same range of transactions that the seller of moneyness has chosen to forgo by depositing their asset for a fixed term. At the end of the term, the moneyness buyer must return the deposited asset back to the seller. The price that competing buyers pay competing sellers in order to enjoy this range of transactional services over the fixed term of the deposit must be enough to compensate the seller for waiving these transaction opportunities. The price that these parties negotiate is equivalent to an asset's moneyness. The exchange or clearinghouse might offer a range of fixed term deposits, say 1, 2, 3, 5, and 10 years, for various financial assets. A moneyness curve would develop, allowing investors to make intertemporal liquidity comparisons across the same asset. For instance, in order to maximize returns would it be better to deposit MSFT for a two-year fixed term, or roll over two successive one year terms? This sort of question can be answered by looking at an asset's moneyness curve. Establishing a market like this would also allow investors to make liquidity comparisons across different assets. For instance, a long term buy and hold investor might be able to deposit MSFT for five years and earn 0.15% a year for their troubles, but if they deposit GOOG for five years, they'll earn 0.20%. This will affect their initial purchasing decision, since buying GOOG and depositing it for five years will provide a greater return than buying and depositing MSFT. Those assets that offer the highest deposit rates over a given time period will typically be the most liquid assets. After all, investors will require the greatest amount of compensation for forgoing the transactions services thrown off by assets with superior liquidity. Conversely, those assets that offer the lowest deposit rates will typically be the least liquid, since investors require little to no compensation for surrendering the stunted range of transactions services provided by illiquid assets. 1. A moneyness market allows for a better allocation of liquidity amongst market participants. Those who don't need moneyness can sell it off while retaining the rights to the underlying asset. Those who want extra moneyness can purchase this quality without having to buy the entire asset. 2. By putting a price on liquidity, isolated pools of liquidity can be tempted back into the broader market in order to smooth out liquidity shocks. 3. 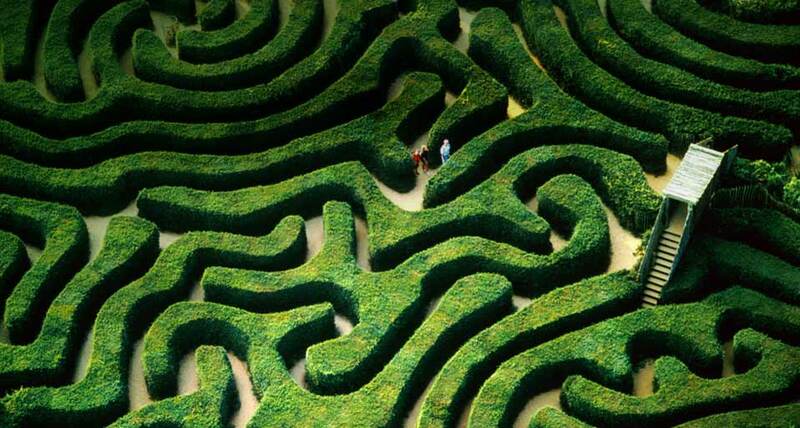 Right now, getting information about the liquidity or illiquidity of various assets is difficult. A moneyness market allows us to build a precise market-based ranking of all assets, from stocks to bonds and debentures, to commercial paper, paper dollars, and mortgage backed securities, according to their relative moneyness. Information is usually a good thing. Can you think of any other benefits? What are the negatives? Once in a while I veer out of the realm of abstraction into the land of usefulness. This post is meant to be helpful for anyone currently invested in stocks. Contrary to what you might think, your stock portfolio is not a hedge against inflation. This won't be a big deal if you're not concerned about inflation. If you are, read on. In an ideal world, stocks would be great inflation hedges. Take a business with revenues of $100, costs of $50, and earnings of $50. After inflation doubles all prices, the business's revenues now amount to $200, its costs $100, and earnings $100. Adjusting for inflation, the firm's earnings power has stayed constant. In this ideal world, a stock is a 100% inflation hedge. In our not-so-perfect world, companies must pay taxes. This alone isn't sufficient to turn stocks into poor inflation hedges, but when we mix taxes with historical cost accounting, the distortions can be dramatic. The actual accounting details behind this may seem achingly boring, but they're worth running through at least once in your life. I'll try to make the process as hassle free as possible. If accounting just doesn't do it for you, then skip to some of the solutions I give at the bottom of this post. A company's tax bill is calculated based on what remains after costs of goods sold (COGS) and depreciation have been subtracted from revenues. Lets start with COGS. When an electronics distributor sells a TV from inventory for $250, it has to match the sale of that TV with a corresponding cost. While it would make sense to take today's wholesale market price as a measure of true cost, accountants prefer backwards-looking measures and will try to match the sale of a good against its historical, or book value. Book value refers to the original price paid by the wholesaler for the TV. If the historical cost was $200, then the $250 sale is matched against that $200 cost, for a gross margin of $50. Here's how historical cost accounting of COGS introduces major discrepancies during inflation. Say that a year has passed, prices have doubled, and our distributor is now selling the same TV today for $500. Since the distributor booked that TV into inventory at $200, the firm reports $300 in operating income ($500-$200). Quite the profit! But historical cost accounting disguises the fact that inflation will have also increased the wholesaler's true costs of replenishing inventory. After all, the wholesaler now has to pay $400 to their supplier to replace the same TV, not $200. Using replacement value rather than historical costs, the sale of a TV for $500 will only earn our distributor a $100 margin at current market prices. During inflation, historical cost accounting of COGS provides a deceivingly rosy picture of our distributor's financial position. A healthy $300 margin is reported whereas the true margin is only $100. In accounting-land appearances can be deceiving. This deception wouldn't be a problem, except for the fact that the firm's tax bill is calculated based on the unrealistically healthy snapshot provided by historical cost accounting, not the more accurate snapshot provided by market based costing. Remember that prior to inflation, our distributor was earning a $50 margin. Assuming that its tax bracket is 50%, that means that it was sending a $25 cheque to the government. After inflation hits, our distributor is now earning a $300 margin on the same TV. Its tax bill now amounts to a whopping $150 ($300 x 50%), an increase of 500%! This bloated tax bill is simply not merited: if we were to value COGS at market prices, it would be evident that our distributor was earning only $100 per TV, and that its tax bill should be $50, not $150. Thanks to historical cost accounting, the real value of its tax bill has tripled, even though the company's true fortunes have neither improved nor deteriorated. The upshot is that during inflation, historical cost accounting of COGS has the effect of sucking wealth out of a company by forcing it to pay excess taxes on fake accounting profits. Inflation always makes firms and their shareholders worse off. The same dynamic that governs COGS applies to depreciation. Depreciation represents the cost of using up capital equipment like machinery. Under historical cost accounting, depreciation is calculated as a percentage of the original cost of acquiring that machine. Say that our distributor has a forklift that it paid $1000 for last year, and it depreciates this forklift at a rate of $100 a year. Inflation hits and all prices double. The replacement value of the forklift is now $2000 and the true economic rate at which the forklift is used up has increased to $200. Yet historical cost accounting requires that our distributor continue to use the historic $1000 cost of the forklift and depreciates it at a measly $100. Much like COGS, this has the effect that our distributor's depreciation expense will remain unrealistically low during inflation, resulting in excess accounting profits on which taxes must be paid. Were depreciation allowances and COGS to increase with inflation rather than stay fixed at historical levels, they would simultaneously offset the rise in revenues and our distributor would not report phantom profits, nor incur unnecessary tax outflows. Got it? In a nutshell, the combination of historical cost accounting and inflation are bad for stocks. Inflation acts as a tax increase on anyone who uses historical cost accounting. If we were to experience a series of inflation surprises to the upside over the next few years, all else staying the same it's very likely that the real value of your stock portfolio will fall. This is pretty much what happened in the 1970s, the last period of high and rising inflation. As the chart below demonstrates, the Dow failed miserably in keeping up with CPI. It wasn't until the late 1980s, that stocks finally caught up to the consumer price index, long after Volcker had succeeded in reigning in inflation. Volcker was one of the best things that ever happened for the stock market, since by reducing inflation, he effectively reduced taxes on anyone forced to use historical cost accounting, which amounted to most of corporate America. What should you do if you're worried about inflation but want to stay invested in stocks? Easy. Choose companies that are less likely to suffer from historical cost corruption. Here's an idea for dealing with the COGS problem. Accountants can choose either of two ways of measuring historical inventory costs: first-in-first-out (FIFO) or last-in-last-out (LIFO). Say that our distributor sells a TV to a customer. FIFO accounting matches that sale against the book value of the first, or oldest, TV in inventory. LIFO, on the other hand, matches that sale against the cost of the most recent TV brought into inventory. During an inflation, the most recent TVs brought into inventory will have the highest costs, which means that LIFO permits COGS to accelerate far more quickly than FIFO. 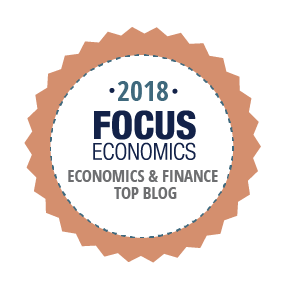 This means that a firm that uses LIFO during inflation has a far lower likelihood of reporting unnatural profits and paying unmerited tax than a firm using FIFO. Just to illustrate how important these effects can be, I'm posting a table that is taken from an early Larry Summers paper on the effects of inflation on stocks. * For each company listed in the Dow Jones Industrial Index in 1978, Summers calculated the implied percent decrease in stock value caused by the interaction of inflation and historical cost accounting. The losses due to COGS and depreciation are listed respectively. Note that the majority of Dow companies were protected from the inventory effect because they used LIFO, not FIFO. Chrysler, which used FIFO, faced an implied 49% decrease in stock price in 1978 due to +10% inflation! So if you're worried about inflation, invest in companies that use LIFO. This won't always be easy. 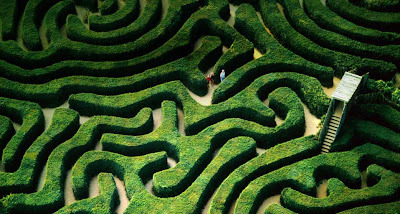 IFRS currently prohibits LIFO, which means it'll be tough to find the right companies. The only jurisdictions in which you will typically get firms using LIFO is the US. ** Caterpillar Inc, for instance, used LIFO for 60% of its inventories in 2012. Rumour has it that the US could be putting an end to LIFO soon, so this useful investment tool may be forever dismantled. Even if LIFO does disappear, there are a few other tricks that investors can use to avoid COGS-related historical cost corruption. How to get around the depreciation problem? You tell me in the comments. I've got a few tricks up my sleeve, but I ain't going to give them all away. *Larry Summers cut his teeth on the topic of inflation and corporate equities. His first few published papers deal with the issue, including Inflation and the Valuation of Corporate Equities (1978). Some are written with Martin Feldstein, including Inflation, Tax Rules, and the Long Term Interest Rate (1981). Feldstein also wrote a solo paper on the topic: Inflation and the Stock Market (1978). Note the dates on these papers. A broad literature on the topic developed in the 1970s, but now you hear nothing about the effects of inflation and historical cost inflation on profits and taxes. **I've heard that Japan allows it too. I like to think of the International Monetary Fund's special drawing rights (SDR) program as the world's largest Local Exchange Trading System, or LETS. A truly unique part of the monetary landscape, what follows is a short visual essay on SDRs. An SDR has two aspects. First, an SDR is a unit of account, or, put differently, a measure of value. As a unit-of-account, the SDR is defined by the IMF in terms of a reference good, or a medium of account. When the SDR was first introduced in 1969, an SDR was defined as 0.888671 an ounce of gold, so the yellow metal was the SDR's first medium of account. The IMF later redefined the SDR as a certain quantity of central bank currencies. As of 2012, an SDR is comprised of a basket of 0.423 euros, 12.1 yen, 0.111 pounds, and 0.66 US dollars. Thus the modern day SDR is defined in terms of multiple media of account. The Suez Canal Authorities currently uses the SDR to calculate the Suez Canal Tariff, while the the Universal Postal Union, which coordinates international postal duties, uses the SDR as a unit of account. Apart from these and a few other rare examples, the SDR is not a popular unit of account. In addition to existing as a unit of account, SDRs also function as media of exchange. This is the aspect of SDRs I'll focus on from here on in. All LETS need an administrator. The administrator takes on no risk, nor are they liable for credits issued. They simply maintains the books of the LETS and ensure that the system operates efficiently. 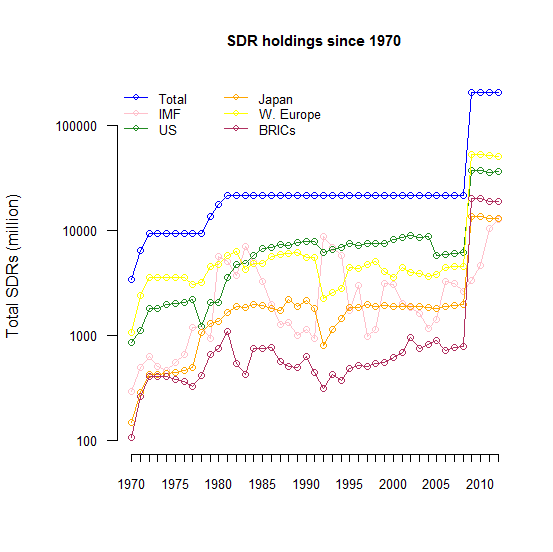 SDR holdings vary over time as SDRs are spent from nation to nation and as new credits are created. The chart below shows total SDRs in existence. It gives a sense of how SDRs are distributed between some of the program's largest members and blocks. Individual members can't simply create new SDRs willy nilly. All members must jointly agree to create them. In 1971, 1972, 1979, 1980, and 1981 the total amount of SDRs was increased, but after that a long freeze set in. In 2009, in the midst of the credit crisis, members agreed to an increase in SDR credits from $21 billion to $204 billion. You'll notice in the chart that the BRICs received a far larger shot of SDRs than they did during previous allocation top-ups because their relative position in world GDP has increased so much. 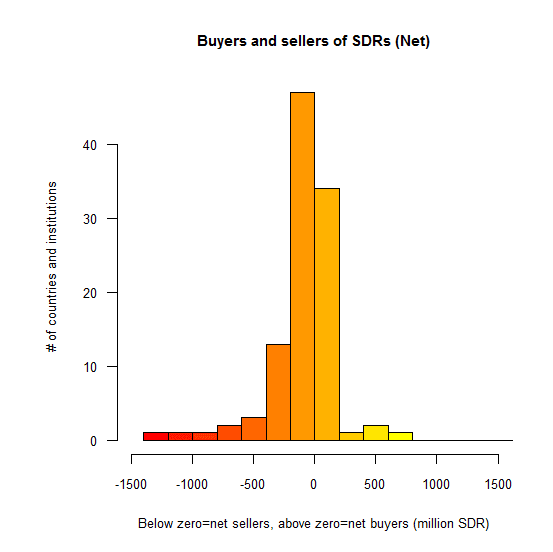 It's particularly interesting to break down the distribution of SDRs. Over time, members will either spend away their SDR credits so that they are holding less SDRs than originally allocated, or they will acquire SDRs so that they are holding more than they were originally allocated. Surplus nations receive interest payments from deficit nations. ** We can see the distribution of surplus and deficit countries in the histogram below. In general, far more countries are in an SDR deficit position than a surplus position. Put differently, most counties hold less SDRs than they were initially allocated. ...which doesn't make much sense. If countries spend away SDRs, someone must be left holding the bag. SDRs cannot be uncreated. This is where the IMF once again re-enters our story. While only states can enjoy SDR allocations, certain supranational organizations like the IMF are allowed to purchase SDRs from states after SDRs have been created. *** As my first chart shows, the IMF is a large holder of SDRs and possesses a portfolio that shows much more volatility in scope than the other nations and blocks. Let's explore this more. The chart below ranks all countries by the excess of holdings over allocations. Deficit countries lie below 0, surplus ones are above. I've added the IMF too which, as the chart shows, is by far the system's largest accumulator of SDRs. The IMF currently holds around SDR 12.7b. The only reason that most countries on the chart are able to be in deficit positions is because the IMF serves as an SDR sop. Try playing with the slider above by pulling the top tab from 12,691 down to 0 or so. This filters out the IMF and the surplus nations, thereby providing more resolution on the system's greatest deficit countries, which includes the Ukraine, India, Romania, and Hungary. The Ukraine, for instance, has sold of SDR 1.3 billion of its initial allocation (more on this later). It's also useful to rank countries by their percent surplus/deficit rather than their absolute surplus/deficit. In the chart below, those countries distributed close to the 100% level have about the same number of holdings that they were initially allocated. Anyone over the 100% line holds more SDRs than they were allocated, and those below 100% have been sellers. Use the slider above to zoom in on the biggest surplus countries. Oddly, you'll see that Libya leads the pack, holding 150% of its initial allocation. One reason for this may be the fact that the Libyan dinar is pegged to the SDR, a link that has been in place since 1986. A buffer of SDRs would be necessary for the Libyan monetary authority to protect the peg. According to the Sadeq Institute, the choice of the SDR was made by the Gadaffi regime in "symbolic retaliation" to the US. Prior to 1986, Libyan dinar's had been pegged to USD. Botswana also has an outsized SDR portfolio. The Botswanan Pula has been pegged to a mix of the South African rand and the SDR since 1980, a policy that would presumably require a large stock of SDRs. Zooming in on the deficit side of the chart, you'll see that the Ukraine is the third largest deficit nation, having sold all but 0.45% of its initial allocation. Ukraine was hit hard by the 2008 credit cirsis. It also imports terrific amounts of natural gas, much of which gets exported on to Western Europe. In order to pay its natural gas bill late in 2009, it used almost its entire SDR allocation. Is a nation's per capita GDP related to its status as SDR debtor or SDR creditor? The chart below charts per capita GDP along the x-axis and SDR position along the y-axis. Most rich nations, those in the two right quadrants with per capita GDP in excess of $10,000, tend to cling closely to 1.0. They are neither in large surplus nor deficit positions relative to the system. Iceland and Hungary, which hover near the bottom of the bottom-right quadrant, are outliers. Both have per capita GDP's above $10,000 but have largely drawn down their SDR balances. Hungary, which only received its first allocation of SDRs in 2009, was hit hard by the financial crisis and forced to liquidate many of its new SDRs in order to meet bills. What all these charts illustrate is that except for the IMF (and a few countries that fix to the SDR), only a minority of countries have been net purchasers of SDRs. Most have been sellers. Put differently, members of the SDR LETS have been quite content to be short SDRs, not long. Why? Many poorer countries are no doubt forced by circumstances to sell off a large part of their allocation. But even then, a large proportion of wealthy countries including almost every European nation, the UK, Australia, India, Brazil, and Canada are in deficit. I'm speculating here, but the general aversion among states to holding SDRs may be due to a weak point that the SDR system shares with any other LETS system. Consider this: what happens to a LETS when a member in deficit splits town only to never be seen again? If the departing member fails to rebalance their account prior to leaving, then the amount by which they are in deficit will never be recouped by remaining members. All members must collectively absorb the loss. The same goes for SDRs. If Iran wishes to leave the system, what guarantees that prior to departure they'll honour their obligation to the system by purchasing enough SDRs to return them to an even level? Taking this even further, imagine if a large block of deficit nations left the SDR system. What guarantees that SDRs will continue to be valued at their stipulated value of 0.423 euros, 12.1 yen, 0.111 pounds, and 0.66 US dollars? Remaining nations may start to bid SDR prices down until SDRs trade at a wide deficit to their ideal value in terms of media of account. At some point, the IMF might be required to announce a lower value for the SDR in order to catch up to its declining market value. Alternatively the IMF could prop the system up by purchasing all SDRs at their ideal value of 0.423 euros, 12.1 yen, 0.111 pounds, and 0.66 US dollars. If it did so, the IMF would be left holding a large chunk of the system's SDRs. But hold on a sec... isn't that already the case? Most countries have been net sellers, leaving the IMF (and other supranationals) currently holding some 6.2% of the total SDR float. This might be a sign that member nations have from time to time valued the SDR at somewhat less than 0.423 euros, 12.1 yen, 0.111 pounds, and 0.66 US dollars and, given the opportunity to sell at an overvalued rate to the IMF, they have seized that opportunity. 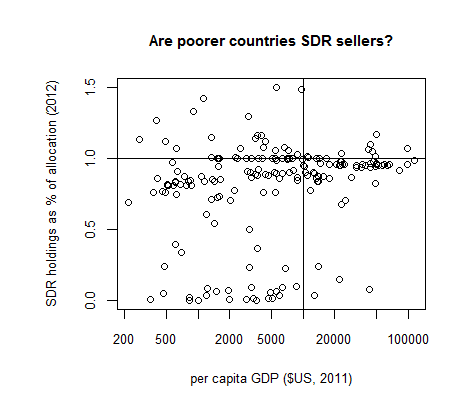 The asymmetric distribution of SDRs does not give one much confidence in SDRs as assets. *Many LETS do not limit member lines of credit. They leave it up to members to self-monitor the system. **The SDR system defers markedly from a LETS in this respect. Most LETS frown on interest payments. *** Other parastatals currenlty holding SDRs inclue the Arab Monetary Fund, Bank for International Settlements, Bank of Central African States, Central Bank of West Africa, European Central Bank, and the Islamic Development Bank. Total holdings of these instituitions comes out to about 1/12th that of the IMF's SDR holdings. I started to sell some of my XRP yesterday, and the process of doing so brought to mind Robert Clower's famous quote. Clower's aphorism describes an idealized pure-money economy that exists only in theory. Were we to apply it to the real world, we'd be missing a lot. To begin with, Clower omits "money" for "money" transactions like the XRP trade I'm about to describe. XRP is the cryptocurrency used to pay transaction fees in the Ripple system. In order to arrive at my end goal of holding Canadian paper, I have to enter into a surprisingly long line of transactions. Which underlines a point I've made before: we don't live in a monetary world characterized by one universal "money". Rather, we target a final state of liquidity appropriate to our goals, and then engage in a series of barter swaps across items with differing liquidity profiles in order to reach our target. Our final resting state may be XRP or bitcoin, it may be a bank deposit, it may be cash, or it might be an item in inventory destined for final sale. To get there requires a long monetary bartering process. Here is the rather circuitous route I am currently taking in order to convert XRP into Canadian loonies. 1. Sell XRP for bitcoin-denominated IOUs issued by Bitstamp. This is a floating exchange rate. 2. Sell bitcoin-denominated Bitstamp IOUs for actual bitcoin. This is at a fixed rate. 3. Sell bitcoin for bitcoin-denominated VirtEx IOUs. Fixed rate. VirtEx is Canada's largest bitcoin exchange. 4. Sell bitcoin-denominated Virtex IOUs for Canadian dollar-denominated Virtex IOUs. Floating rate. 5. Sell Canadian dollar-denominated Virtex IOUs for Canadian dollar-denominated Royal Bank of Canada IOUs. Fixed rate. 6. Sell Royal Bank IOU for loonies & Canadian currency. Fixed rate. So after six transactions, I'll finally hold Canadian paper money in my wallet. It'll take at least 5 days to execute this chain of transactions, mainly because step 5 takes f.o.r.e.v.e.r. This is the fault of our legacy banking system. 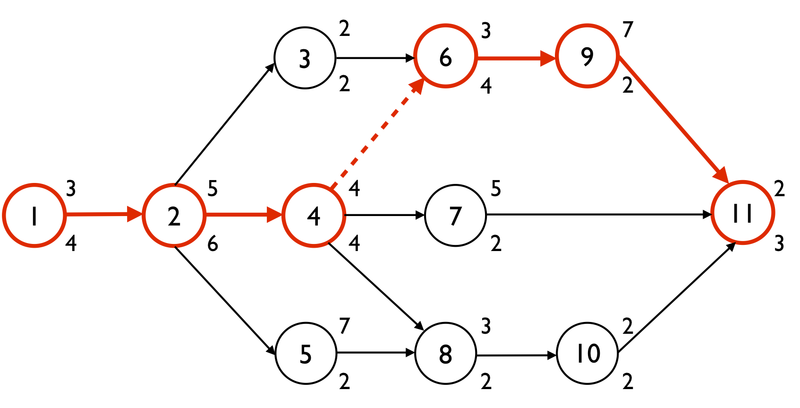 The cryptocurrency world, steps 1-4, is blazingfast. 1. Sell XRP for bitcoin-denominated IOU issued by Bitstamp.com. This is a floating rate. 2. Sell bitcoin-denominated Bitstamp IOU for bitcoin. This is a fixed rate. 3. Go to a local cafe where someone makes a market in bitcoin. Sell my bitcoins directly for cash at a floating rate. We experience these long barter chains in the non-crypto world as well. When I am paid with a US dollar check (say for $50), I go to my bank and sell the check at par for $50 worth of USD deposits. Then I sell the bank my new USD deposits in return for $55 or so worth of Canadian deposits, depending on what the exchange rate at that moment. My next monetary barter transaction depends on what I want to do after. If I want to get a haircut, I'll sell the $55 worth of deposits back to the bank for $55 worth of Canadian paper money. After all, my barber only takes cash. If I want to buy stock, say Blackberry, I'll sell my bank deposits for an equivalent amount of deposits at my broker, and then I'll be able to purchase Blackberry. Behind the scenes, the bank's transaction chain continues. After buying the check from me, it sells it back to the issuing US bank in return for a deposit at the issuer. It then sells the issuer's deposit for central bank reserves/clearing balances. Long chains of monetary barter. The other problem with Clower's simplification is that goods often do buy goods. In sum, there is no rule that money must buy goods only, or goods money. The world is far more complex than this. Goods are more moneylike than we suppose, and so-called money is isn't a monolithic entity but a heterogeneous set of goods that get bartered for each other along long monetary chains. *Just as barter is often used to avoid leaving a paper trail, so are soft dollar trades used in the financial industry. Soft dollar expenses are not included in your mutual fund's management expense ratio (MER). You may think that the fund you own has low expenses, but until you back out soft dollar barter its engaged in you can't be sure. The more a fund manager can stuff into soft dollar, the cheaper his/her MER appears. Read the fine print. Following the recent surges in the value of Bitcoin, people have been selling less and less, initially because the value of the Bitcoins was going up so fast people were unwilling to part with them; then, once the Bitcoin price started crashing, dealers were unwilling to part with valuable drugs for Bitcoins worth who-knows-what. I find Foxton's claim unlikely. Yes, in a regular economy, soaring demand for dollars may cause recessions because certain prices are sticky. But the bitcoin universe isn't a sticky price universe. Silk Road sellers will quickly reprice their product in order to convince buyers to part with their bitcoin. Buyers will modify their bids in order to convince sellers to part with their drugs. As bitcoin prices rise or fall, the real value of transactions in the Bitcoin universe should be constant. What are my assumptions? I think that people who participate in the bitcoin universe are incredibly savvy about exchange rates and real values. They have to be. Fluctuations in BTC prices are so extreme that anyone suffering from money illusion, or a failure to adequately adjust prices, will quickly die off. In the dollar/euro universe, on the other hand, money illusion is common. Being fooled by nominal prices changes isn't life-threatening, so sufferers aren't weeded out. They never learn because they don't have to. That's the theory, but what do the numbers say? Foxton provides no evidence for his hoarding claim. Silk Road sales data would suffice. Neither do Izabella Kaminska and Joe Weisenthal who quote Foxton as an authority on the perverse hyperdeflationary effects. [I could digress on the echo chamber effect here, but I'll resist]. Here's my attempt to pin down a few datapoints showing the real value of transactions in the bitcoin universe. SatoshiDice, a bitcoin gambling website, is one of the bitcoin universe's largest companies. Unlike Silk Road, it is public. So we can get good information on its operations. Around 50-60% of all bitcoin transactions involve SatoshiDICE, so it surely serves as an appropriate bellwether for spending activity in the bitcoin universe. The chart below shows the daily real, or US dollar, value of all SatoshiDICE bets over time. A number of "whales" (large bettors) placed bets in December and January (see discussion here and here) which may explain the large spikes in bet value around that time. We should ignore these spikes. Looking at the base level of transactions, we can see a gradual increase in real betting value over time, despite the rising bitcoin price. No evidence of a recession here. Another way to verify the claims of a bitcoin recession would be to look at the value of bitcoin-denominated stock prices over time, specifically the stocks of those companies whose revenues are in bitcoin, not fiat. A decline in stock prices as bitcoin rises would validate the recession hypothesis. What do the numbers tell us? Shares of Vircurex, a cryptocurrency exchange, are up since its February IPO. SatoshiDice is unchanged since January 1. Havelock, a bitcoin miner, has traded between $1.20-2.00 for months. Lastly, MPOE, a bitcoin stock and options exchange, keeps tearing it up. If people were hoarding such that bitcoin velocity was declining, the prices of all these stocks should have fallen dramatically. That they haven't would seem to indicate that changes in bitcoin price are largely neutral. Those claiming that bitcoin's skyrocketing price is decreasing bitcoin velocity and causing aggregate demand shortfalls, or recessions, need to show more evidence for their claims. For the full version, go here. The chart below only includes Eurosystem assets, not liabilities. It goes back just a few years. The full version goes back to 2000 and includes liabilities.